Painter Caroline Cleave works from her valley studio in the heart of Port Isaac. 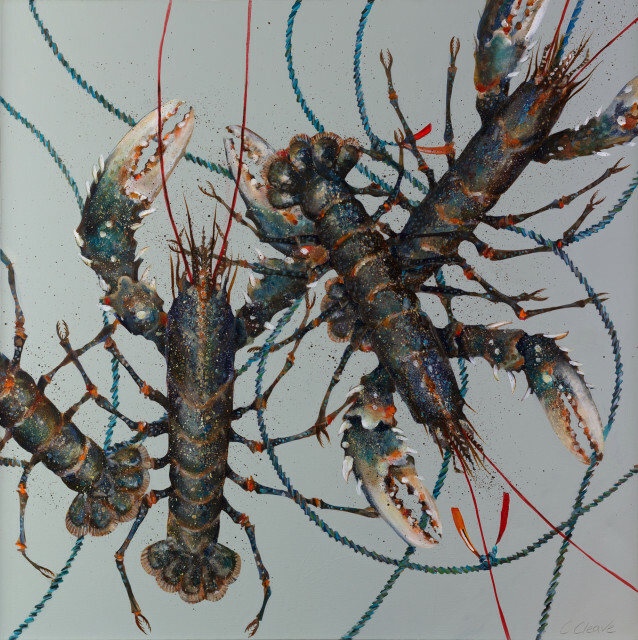 Her colourful designs of fish, crabs, lobsters, stone walling and wild foliage celebrate the beauty of the Cornish coast and countryside, and reflect issues of economy and sustainability associated with those living and working in Cornwall's rural environment. Her work is on permanent exhibition at the Eden Project.